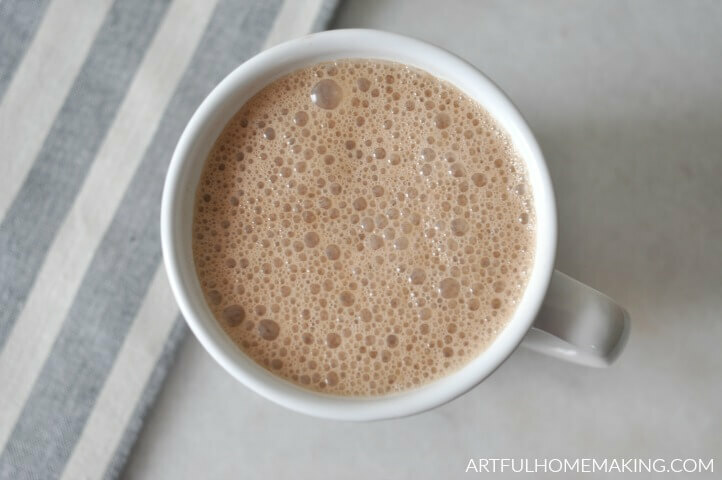 Healthy sugar free hot chocolate is also dairy free and easy to make! We love hot chocolate at our house! Since we try to stick to healthy, whole foods as much as possible, we usually make our own (here’s my recipe for naturally-sweetened healthy hot cocoa). 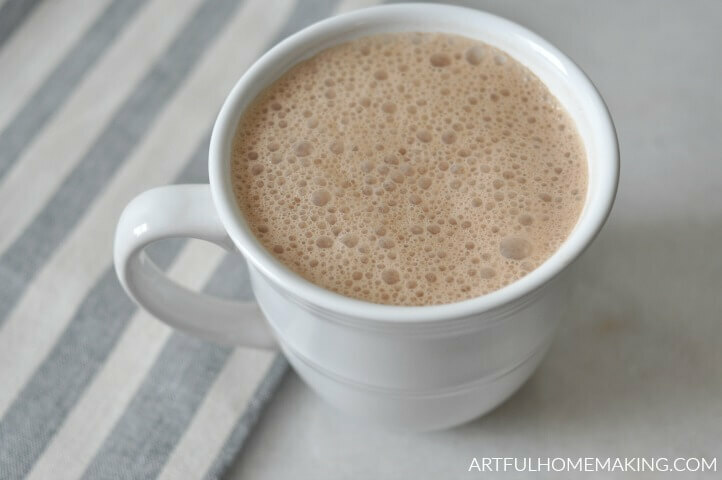 Sometimes we’re looking for an even healthier version of hot chocolate, and that’s when I turn to this sugar free hot chocolate that’s also dairy free. While my other recipe uses whole milk and maple syrup for sweetener, this recipe uses a non-dairy milk and is sugar free. Since I’m usually avoiding sugar (even more natural sugars like maple syrup and honey), this recipe is one I can enjoy guilt-free. An added plus is that it’s super simple to make. Just a few minutes and you’ll have a cozy cup of homemade hot chocolate! This recipe only requires a few simple ingredients. I purchased most of the ingredients at our local Aldi, with the exception of the monkfruit sweetener (and the vanilla, which I make myself). You don’t have to use monkfruit in this recipe, you could also use stevia, a stevia/erythritol blend, or xylitol. Any of these alternative sweeteners would work. 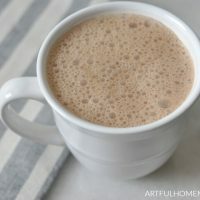 This dairy free sugar free hot chocolate recipe is so easy and quick to make that it only takes a few minutes to mix and heat the ingredients on the stove top. Just pour the almond milk (or other dairy-free milk) in a saucepan, then add all the other ingredients. Heat over medium heat, whisking often with a wire whisk to keep it from burning. After the mixture has heated, ladle it into cups and serve! This recipe makes about four 1-cup servings, so we always at least double it for our large family. 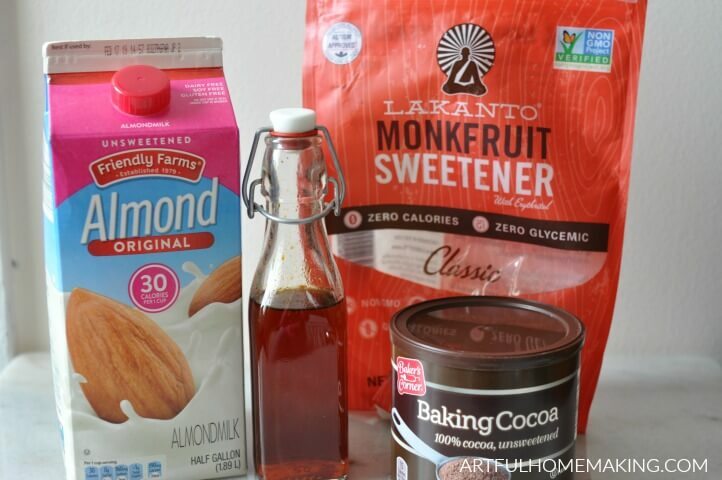 You can also easily adapt this recipe if needed, by adding more or less sweetener or other flavors like cinnamon. 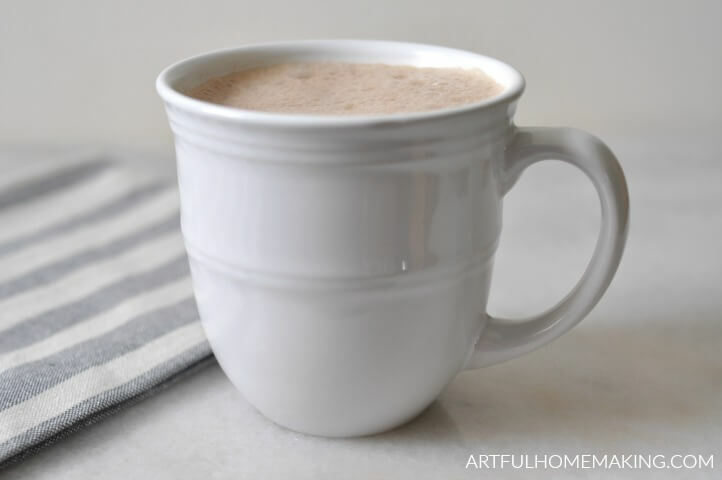 This sugar free hot chocolate is also dairy free and low-carb, and so easy to make! Pour the almond milk (or other dairy-free milk) in a saucepan, then add all the other ingredients and stir together. This recipe makes about four 1-cup servings, so we always at least double it for our large family. You can also easily adapt this recipe if needed, by adding more or less sweetener or other flavors like cinnamon. A note about sweetener: I find that different sweeteners call for different amounts, so you may need to experiment to find just the right amount, depending on how much sweetness you prefer. We usually use from 1/4—1/2 cup of sweetener. 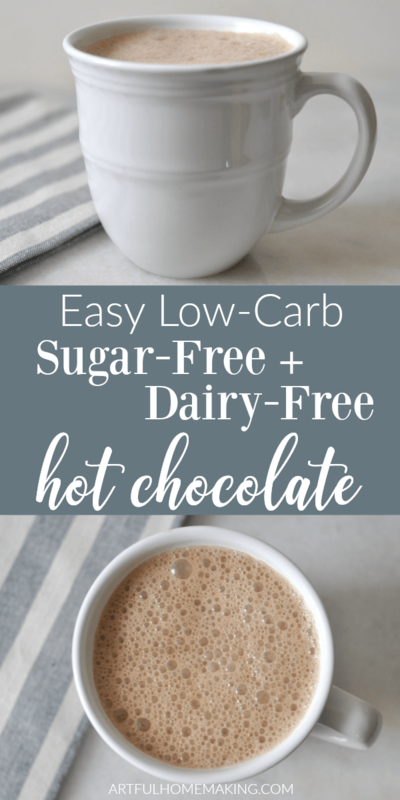 See how easy it is to make your own low-carb hot chocolate?